Westcott has released a created a new way to ‘handle’ speedlites and modifiers: the Speedlite ProGrip. 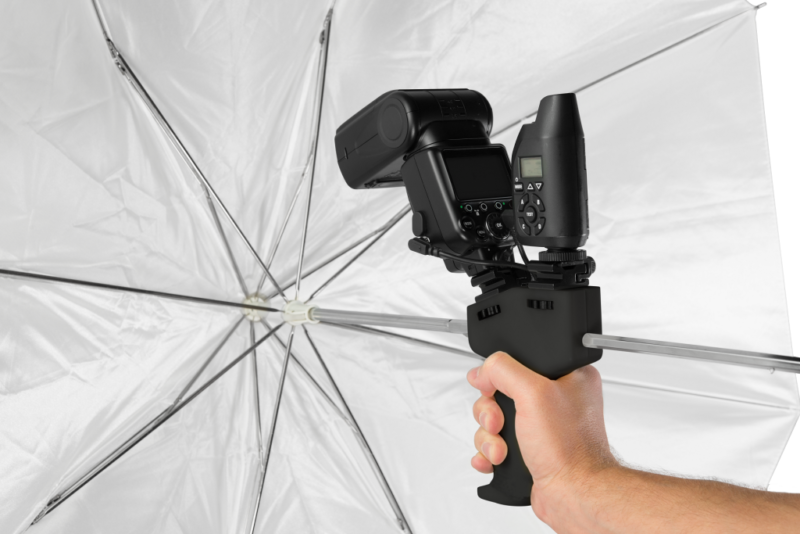 Westcott has released a created a new way to ‘handle’ speedlites and modifiers: the Speedlite ProGrip Handle. The Speedlite ProGrip Handle is a pistol-grip-like device designed so you may mount a variety of modifiers and speedlites. Attachment for gear comes via two coldshoes and a slot for umbrella/modifier shafts. Compatibility with a wide variety of modifiers and other lighting equipment looks to make it quite versatile. With the use of an assistant, this is another tool allowing you to move your lighting around quickly and simply. Though keeping your arm extended in front of you for long periods may wear you out. However, if you need to change locations and angles constantly, especially during events, the Speedlite ProGrip Handle could be very useful. Certainly less bulky than a boom. 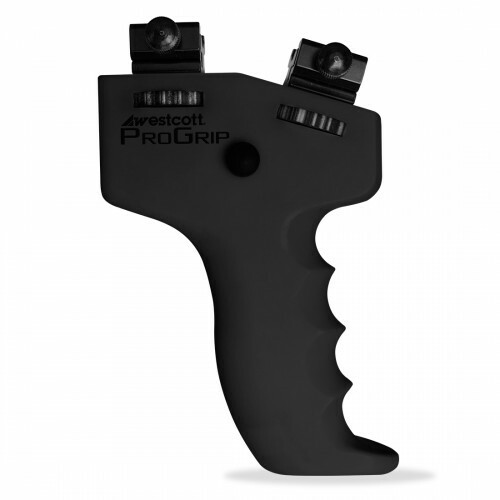 The ProGrip is priced at $39.90. It will also come as a kit that includes a PocketBox or Umbrella kit for $59.90. Available immediately. See the FJ Westcott product page for more info.